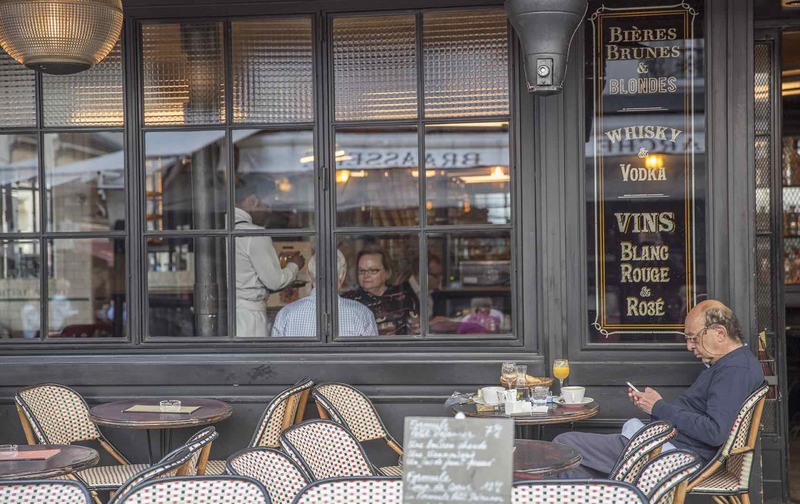 The visual cues of the French restaurant are often similar to our American ones: a window-filled façade, a menu posted outside the door for easy reviewing and the dash of busy waiters crossing the room carrying plates of attractively-presented dishes. But don’t be fooled by appearances. As often is the case when we cross cultures, things may look the same, but beware. French restaurant etiquette is quite different from what we experience in an American dining establishment. Contrary to the American habit of eating at any and all hours, the French respect specific mealtimes. Try sitting down to lunch after 2:00 pm and you will soon learn that any restaurant worthy of the name (in other words, not a fast-food place or franchise chain like Hippopotamus or Courtepaille) will tell you that the kitchen is closed. 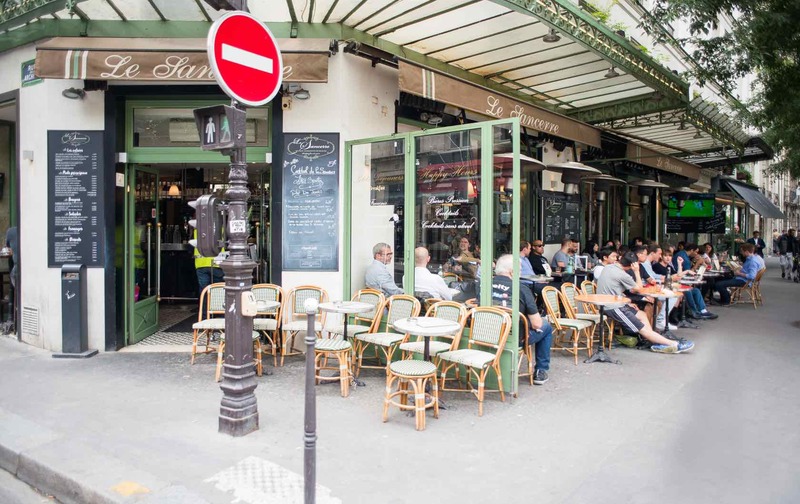 This is especially true outside of Paris, where you must lunch between noon and 2:00 pm, otherwise your only option will be going to a café and filling up on a beverage and perhaps, if you are lucky, a croque-monsieur. While these are still delicious options, they are disappointing if you were imagining a lovely three-course meal in the true French tradition. They all serve food but the café, the brasserie, the bistro and the restaurant mean different things to the French. 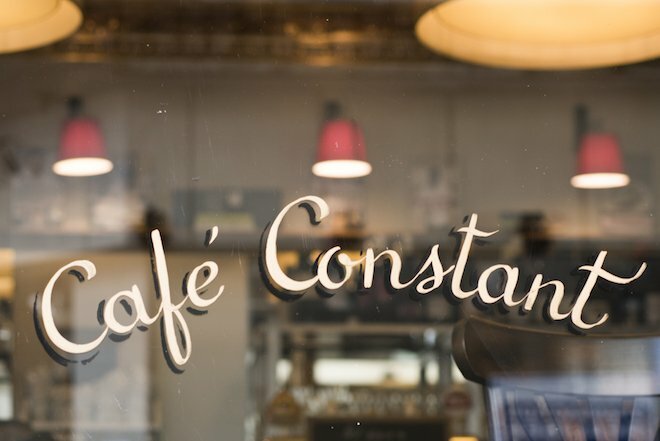 A café is where you go for coffee and cold drinks. It would be a fine place for a French-style breakfast of café au lait and a crossant or tartine (a thin toasted baguette served with a bit of butter and jam). While you might see “omelettes” on the café menu, this is not a breakfast food; it is lunch fare and often served with green salad or pommes frites. A brasserie means brewery and as such is a place to drink beer. It also serves food, but often nothing gourmet. The food offerings are a bit more varied than what you’d find in a café, but it’s still quite casual and best to expect that the menu won’t be extensive or refined. A bistro (which comes from the word “bistre,” referring to the cream-colored walls of the original bistros) are often a great choice for a well-prepared meal. 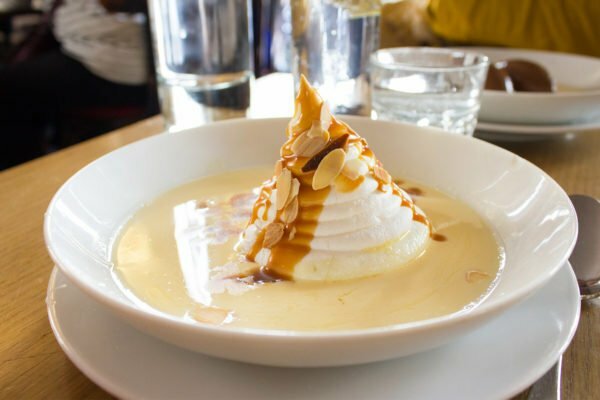 Typically run by a husband and wife team, they usually feature a “plat du jour” or a daily special, and a good bistro will rely on what’s fresh at the market when deciding on this dish. If you find a great neighborhood bistro, be sure to make it your own by getting to know the chef and waitstaff. It’s a terrific feeling to have “your” bistro in Paris, a place where you feel welcome and can trust you’ll always have a good meal. Lastly, a restaurant is the top-level of dining establishments. The atmosphere will be more formal and the prices higher. Dinner service starts no earlier than 8:00 pm, so don’t try and walk in at 7:00 pm expecting to be seated. Don’t be surprised to find the tables in a French restaurant pushed quite close together. Frequently the waiter will have to pull out the table to let one person slide in onto the bench seat (la banquette). You’ll be in close proximity to your neighbors, but that doesn’t imply you should chat them up or ask them what they are eating. 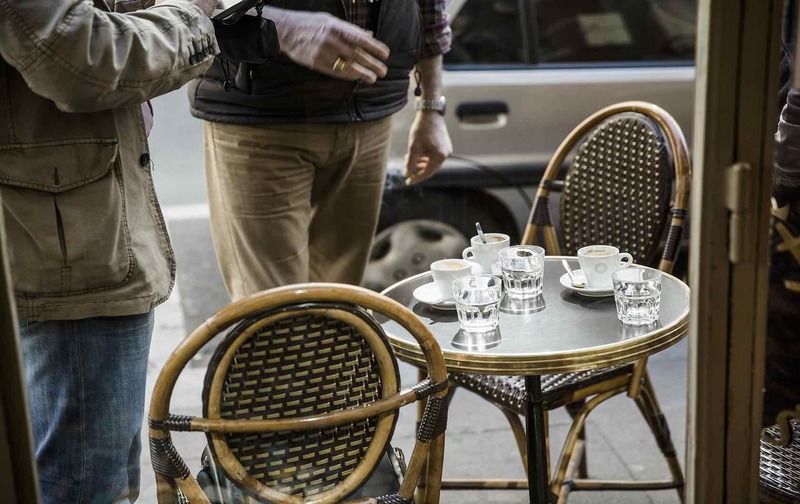 Remember: the French, especially the Parisians, are a discreet culture and don’t do small talk as Americans do. You won’t get a basket of bread placed on the table immediately after being seated. This will come with your meal. And you won’t get a dish of butter accompanying that bread basket. (Before I was well-versed in Parisian restaurant etiquette, I made the mistake of asking for butter with my bread. “This is not breakfast time,” the waiter informed me with raised eyebrows.) The bread is used to push your salad onto your fork, or soak up the yummy sauce your main dish came bathed in. (Please don’t swish your bread around the plate with your hand; use your fork to spear a piece and then swirl that around in the sauce.) Also, place your piece of bread on the table next to your plate, or on the rim of your plate if you don’t get a bread dish. It’s perfectly fine and not considered rude. Coffee would be served to close the meal, after dessert. Never with the dessert. Ordering just an appetizer at a restaurant, because you are dieting or not very hungry. 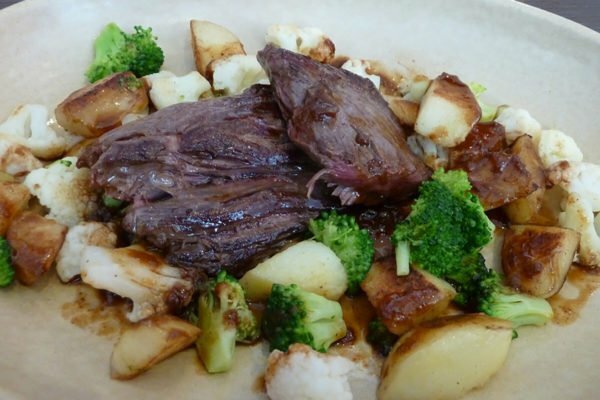 French people often don’t eat between meals, so they arrive at the table with an appetite. Splitting a meal. Portions are not American size, so splitting a meal is not only unnecessary, it may be insulting to the restaurant staff. Each person occupying a seat at the table is expected to order at least a main dish. Doing that substitution/replacement thing. If you are following a special diet, such as gluten-free, you’ll be most comfortable at a restaurant specializing in gluten-free options. Chefs take pride in what they cook up for their clients, and when a diner starts trying to create his/her customized plate, they won’t take kindly to this request. You’ll get the stink-eye if you start with the “can you hold the salt and put the dressing on the side” type of directive. However, if you do have serious dietary or allergy issues, take a little time to learn the key words in French so you can kindly explain to waiters your restrictions and avoid any surprises or issues! 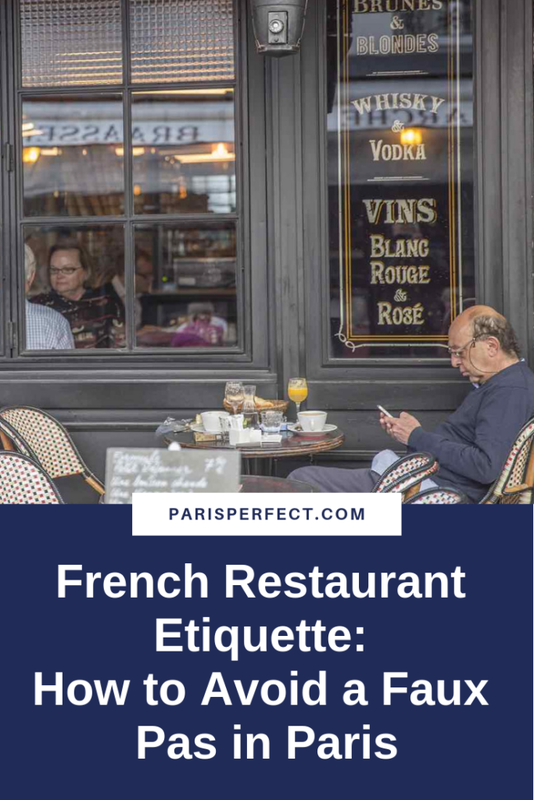 Also, French restaurant etiquette implies that if you don’t see salt and pepper on the tables, it is code for a really good gastronomical experience. It means the chef knows that his creations are so wonderfully delicious that no additional seasoning is needed. Asking the waiter to run separate tabs for all the people at your table. If you are dining with a group of friends, just pay the bill and settle up with each other outside the restaurant. 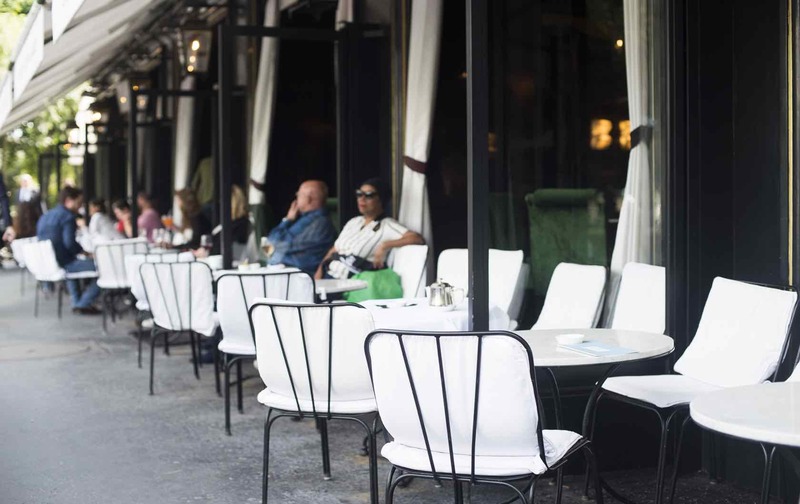 French restaurant etiquette dictates that you should not quibble over who had more wine or no dessert, or, if they do, it won’t be within earshot of the waitstaff. Lastly, the tip is always included in the bill. Service compris is the term for this, and no additional money is necessary, unless you feel you got great service. But it is not a slight to leave nothing on the table, because the waiter will receive the gratuity included in the total cost of your meal. Yes, this can be irksome if your service was not top-notch, but, as with many things in another culture, just go with it and don’t let this ruin what was undoubtedly a wonderful meal. Bon appétit! PREVIOUS: Galette des Rois – A French Tradition Fit for a King! Posted on Tuesday, January 13th, 2015 at 9:46 am in Food & Drink. You can follow any responses to this entry through the RSS 2.0 feed. You can leave a response, or trackback from your own site. It is so important for people to know of cultures as a way of expressing respect and understanding and being a guest in a host country.Making the effort is vital. Wish I had read this first! Restaurant owner was very cross with us because one person out of six did not order an item. I had a gut feeling we should have ordered her something just to appease him. However, we were a non alcohol group and he yelled at us as we left for not ordering wine! Great tips. I would also add that you need to ask for the check when you want it. The waiter will not bring it over until you ask and you’re welcome to sit as long as you want! And don’t move the chairs to face one another! My friend and I did this at an outdoor cafe so we could face one another to talk. The waiter made it very clear that all chairs should remain facing the street.